Drop in and see how you can be part of an exciting project which will help to shape our community and church for the next generation. Reverend Tony Forrest and the Project team will be on hand to answer any of your questions and to receive pledges towards our £75,000 Appeal target. For further details of 2018 Community Hub and Heritage Centre Appeal please go to our Donate page. Although August is sometimes a quiet month we have taken advantage of the fine weather to make good progress on the Community Hub project. The archaeological excavation is complete and the reports have been submitted to the Winchester City historic environment authorities. After consultation with the structural engineer, the decision was made to build foundations for the new annex based on a piling construction, and to go to tender for the superstructure during September. The north chapel has already been prepared for transformation into a community room, and the planned volunteer-run Café. At the time of this update, the contractor has completed foundations and laid a reinforced concrete slab to support the superstructure. There will now be a pause while the final round of fund-raising begins in early October, and we review the responses to the tender invitation for the above-ground works. The cost of these works is likely to be in the region of £240,000. We have approximately £165,000 in the bank or pledged, so we need to raise another £75,000. A fund-raising campaign to close the gap will be launched in October when full details will be published in the church and on our website. 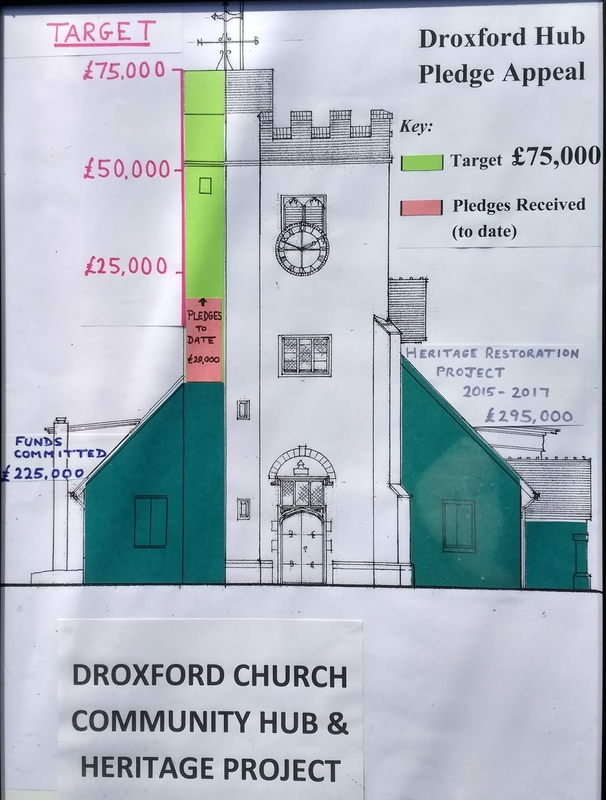 A contribution of £50 will enable the donor to have their name in a book, should they so wish, a donation of a £1000 means their name will go on a board in the new Church annex.